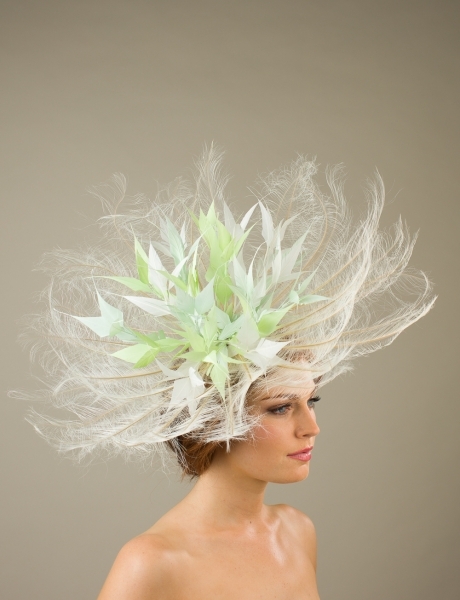 If you are looking for a wedding fascinator, whether you are a bride to be, mother of the bride or groom, or wedding guest, we have a huge range of fascinators which are perfect for any wedding and any outfit. All our hats are designed and created using British materials and trimmings and can all be colour customised to perfectly compliment your outfit. We can even add little accents of metallic gold or silver leaf for a really opulent look. It is simple to colour customise your hat, just click on the dropdown menus next to the hat to select your chosen option. Or if you like the colour of the hats shown in the images, just select those colours from the dropdown menu instead!